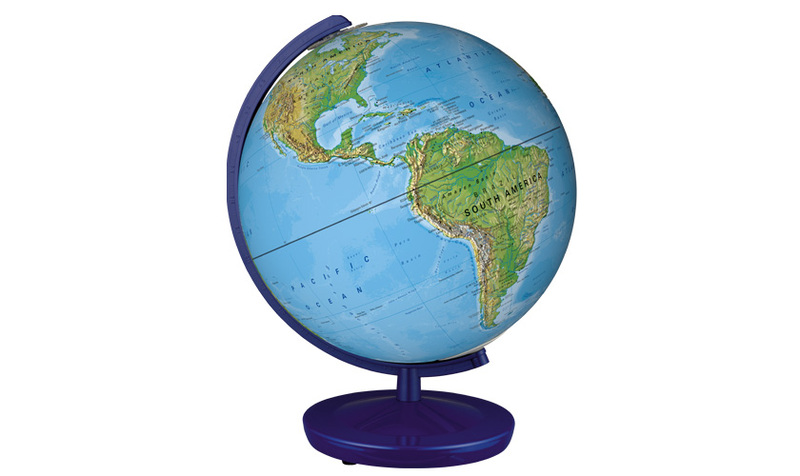 This ten-inch acrylic globe with geopolitical boundaries gives you an informative overview of Earth’s surface. 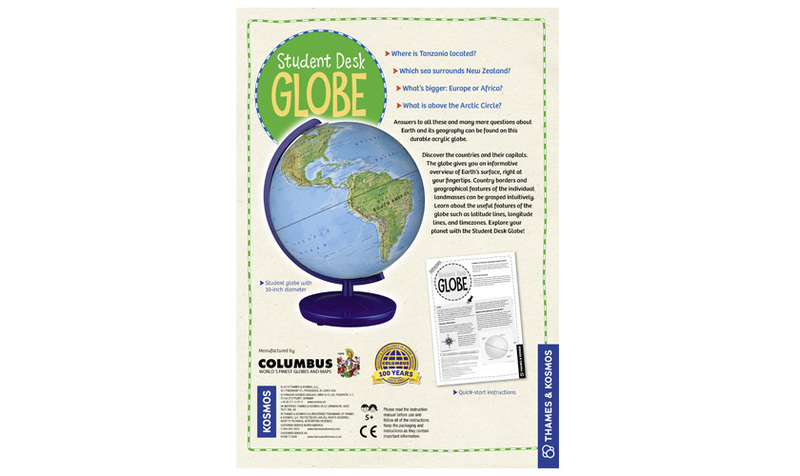 This ten-inch acrylic globe with geopolitical boundaries gives you an informative overview of Earth’s surface right at your fingertips. Find answers to questions such as: Where is Tanzania located? Which sea surrounds New Zealand? What’s bigger: Europe or Africa? What is above the Arctic Circle? Country borders and geographical features of the individual landmasses can be grasped intuitively while you learn about the useful features of the globe such as latitude lines, longitude lines, and time zones. 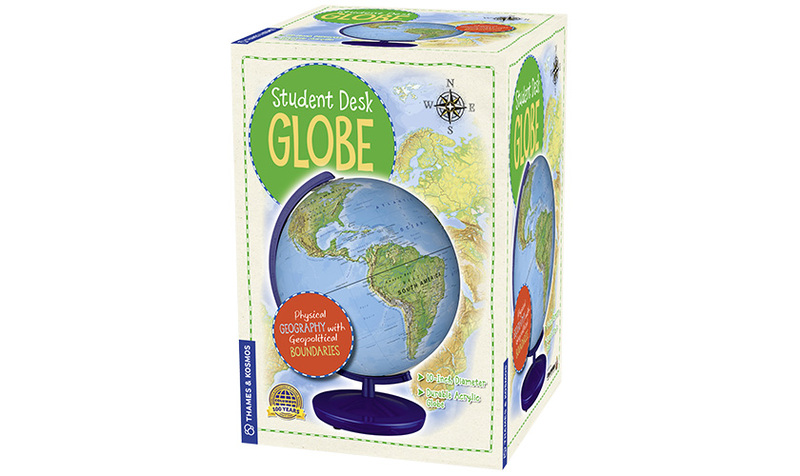 Explore your planet with the Student Desk Globe!